Vermella Harrison hosts a wealth of amenities more akin to a five star inclusive resort. 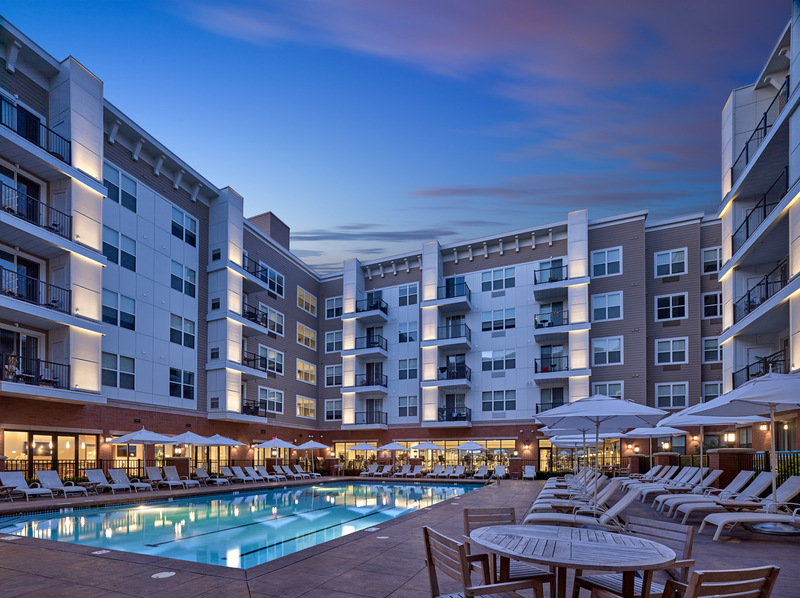 Indulge in living with everything from a state-of-the-art fitness center and a pool to an exclusive rooftop lounge complete with grilling stations, seating areas, outdoor billiards and a firepit. Here, your every need is entertained leaving no stone unturned in the quest for seamless, perfect living! 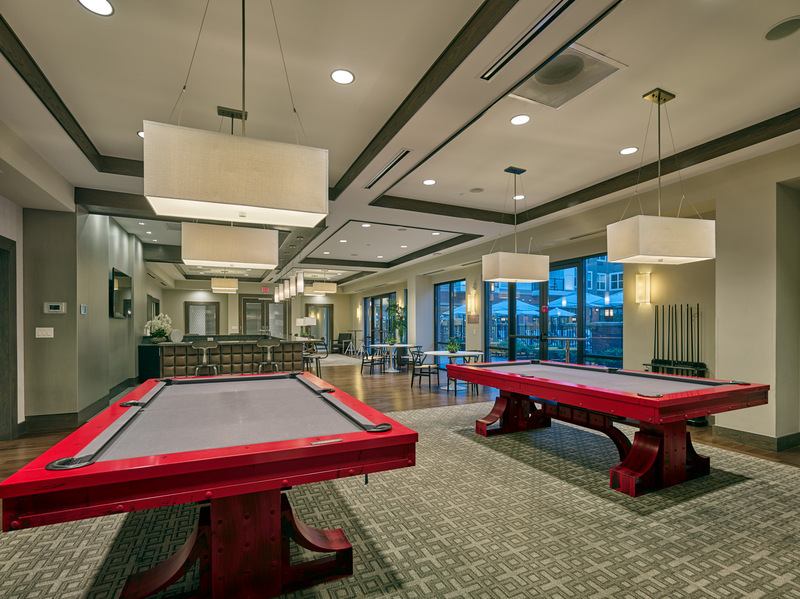 Gorgeous clubroom complete with billiards, a bar , seating areas, a flatscreen TV and wi-fi. Full service concierge and on-site maintenance located through our exquisitely landscaped lobby entrance with key fob access. 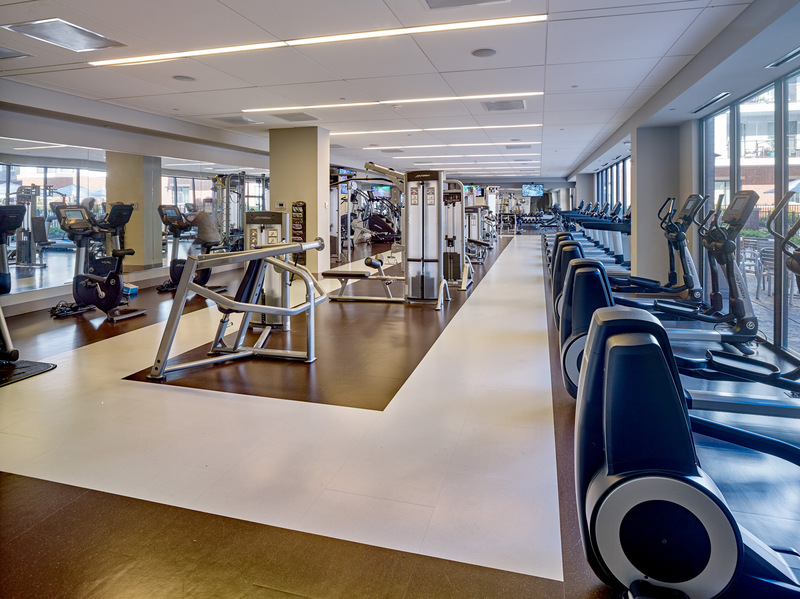 State-of-the-Art Fitness Center with Cardio and Weight-Training Equipment. Hotel-Inspired Pool with Lounge Areas, BBQ Grilling Stations and Picnic Area. 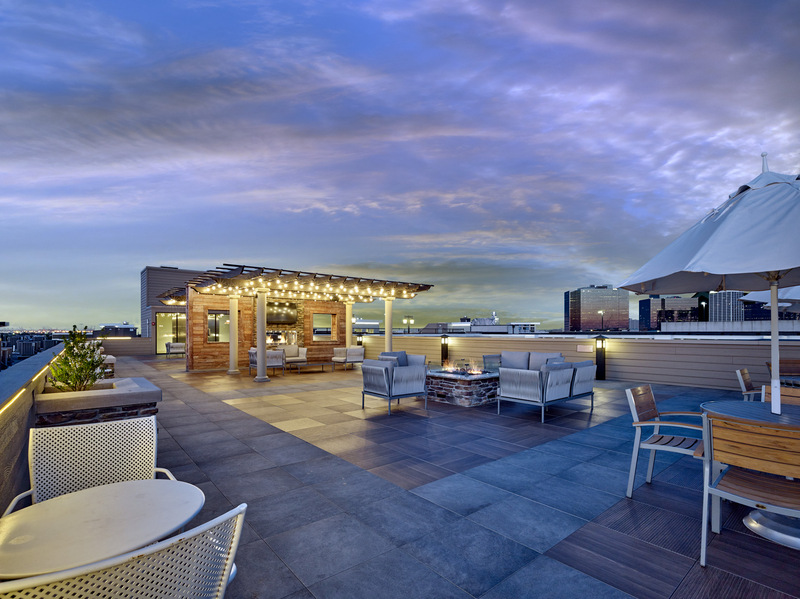 Rooftop Lounge with BBQ Grilling Stations, Seating Areas, Outdoor Billiards, Fire Pit and Double-Sided Fireplace. Active Courtyard with Bocce Ball and Putting Green. 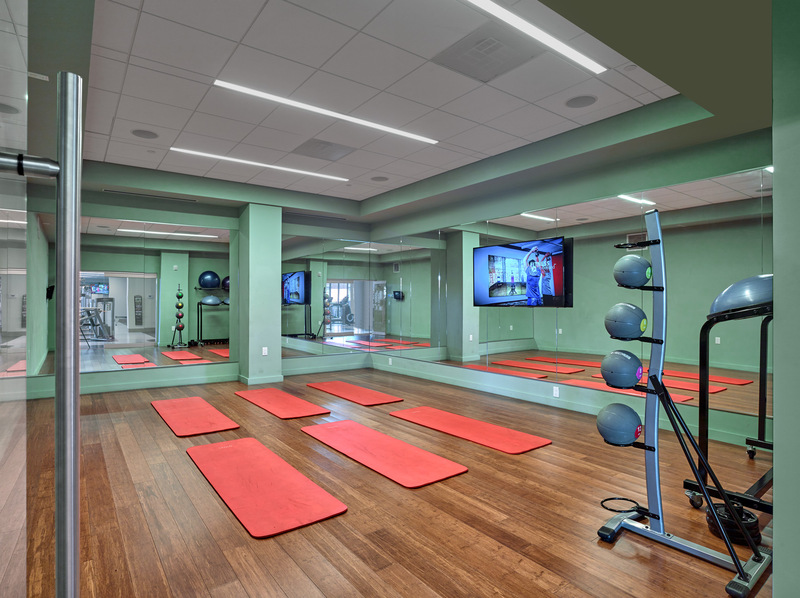 Yoga Studio with Fitness on Demand. It's your time to live as a VIP. 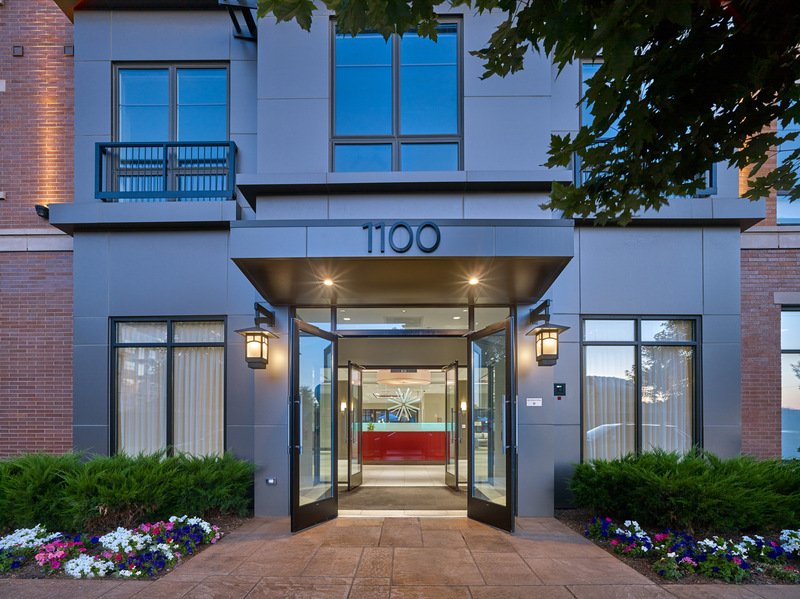 The luxury community amenities at Vermella Harrison leave nothing to be desired. 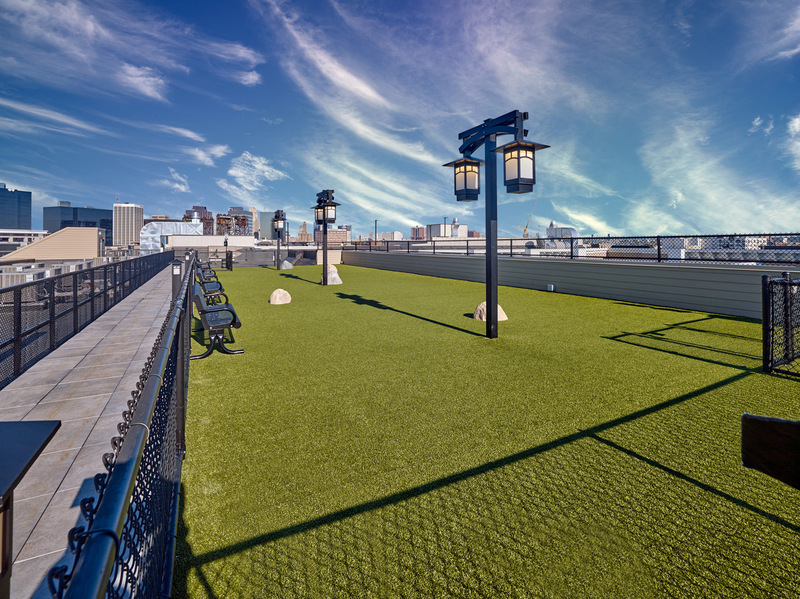 A yoga studio featuring Fitness on Demand, a landscaped courtyard with bocce ball and a putting green, a rooftop dog run and a clubroom with billiards and a bar…just to name a few. Explore our gallery to see the lifestyle you’ve been dreaming about. The spacious studio, one and two bedroom residences at Vermella Harrison boast designer chef-inspired gourmet kitchens, gorgeous hardwood flooring, expansive windows and 9’ ceilings. 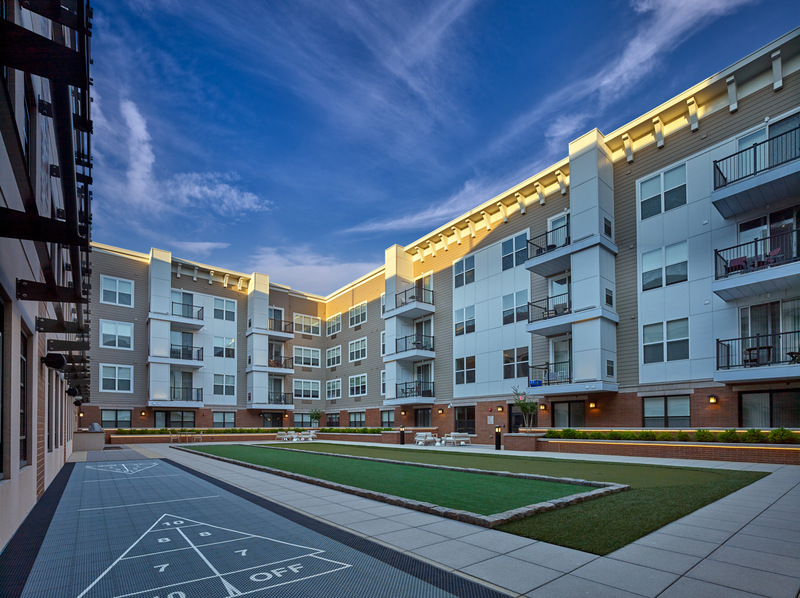 Each home features a washer and dryer, spacious closets, gas range, designer kitchen cabinets and vanities, full-size energy-efficient, stainless steel appliances, with private balconies or patios in select apartments. 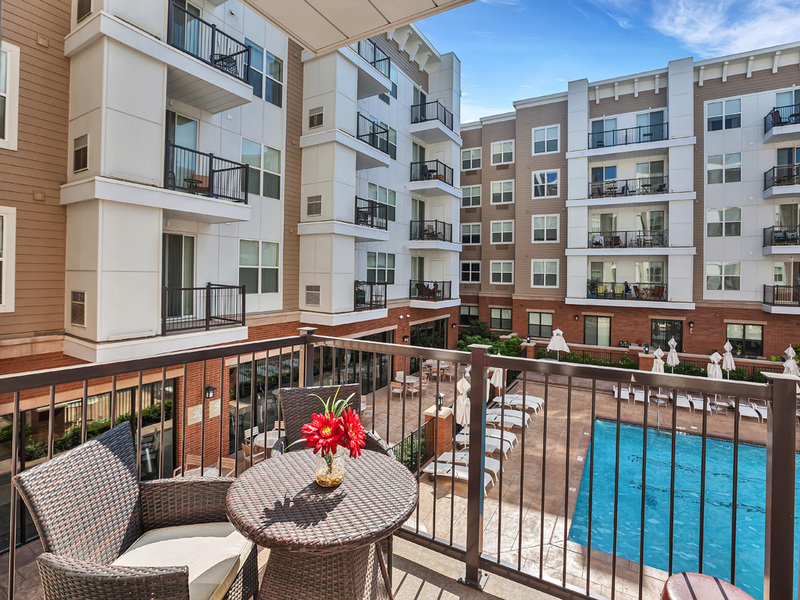 Private balconies or patios in select residences. 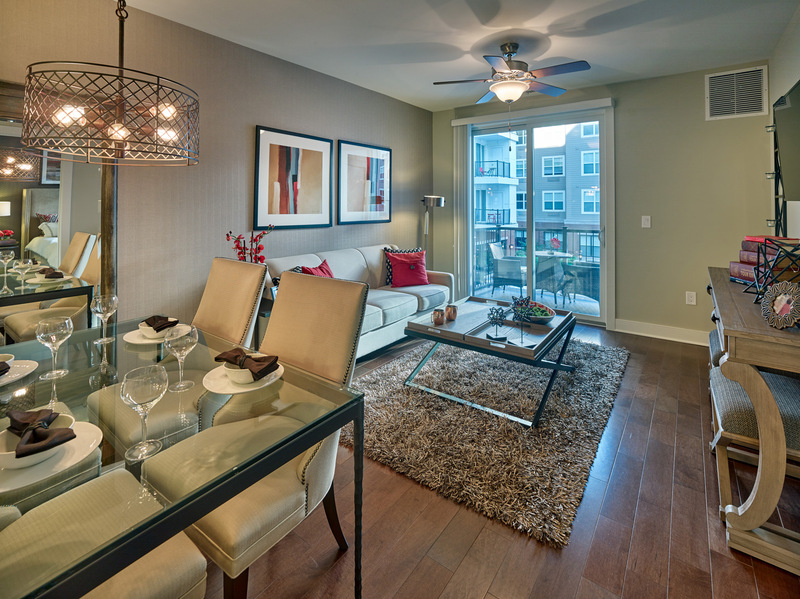 Spacious interiors with expansive windows and gorgeous hardwood floors. 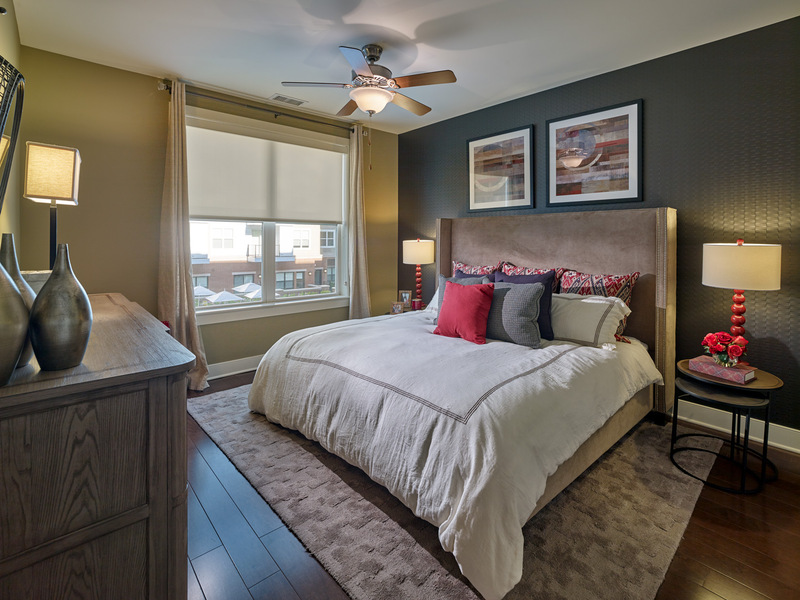 Contemporary style and elegant living spaces featuring spacious walk-in closets. 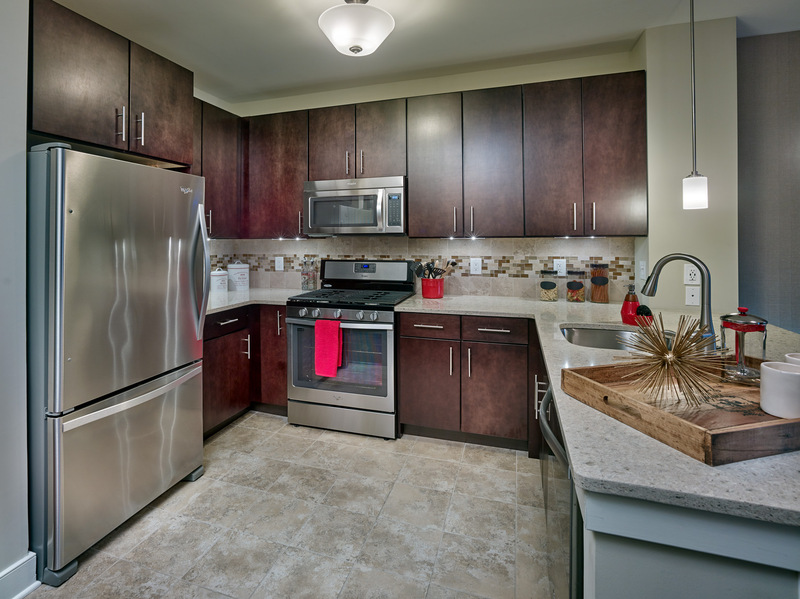 Chef-Inspired Gourmet Kitchens with Quartz Countertops, Gas Range, Designer Cabinets and Vanities, and Full-Size Energy-Efficient, Stainless Steel Appliances. 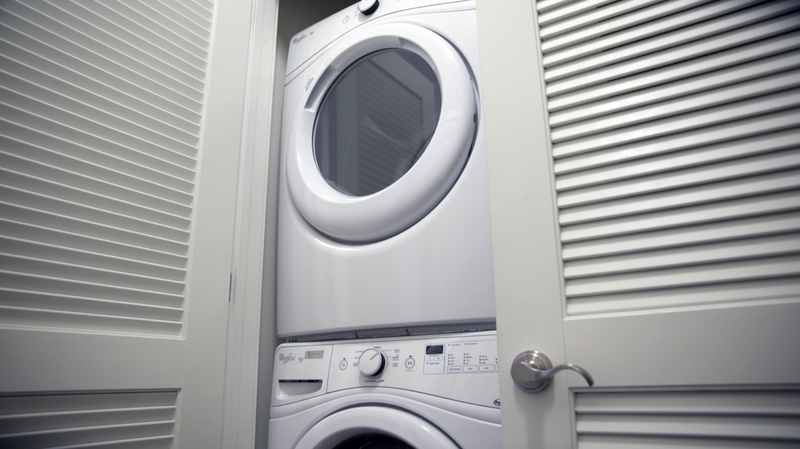 Oversized Washer and Dryer offered in each residence. 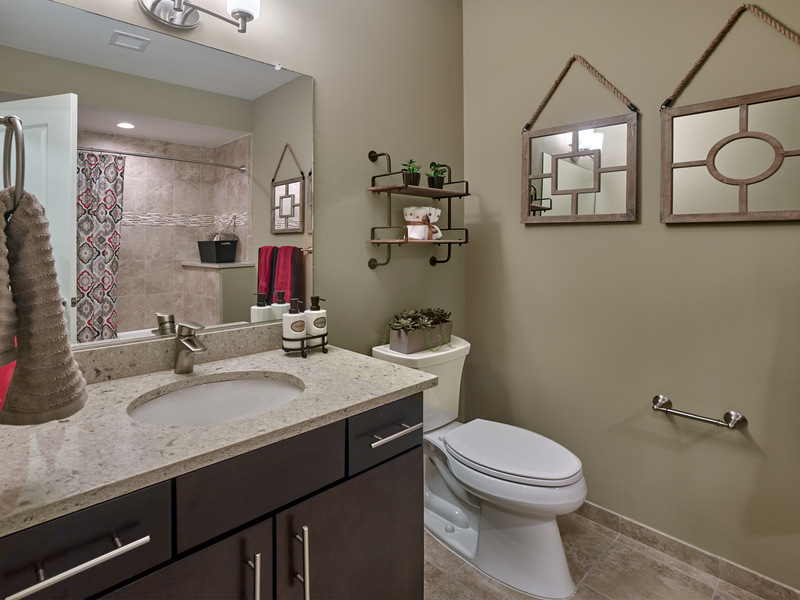 Beautiful bathrooms with ceramic tile.